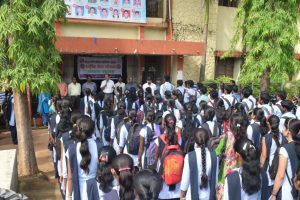 Under the N.S.S department of Gondwana University, Gadchiroli, the college has a unit of 150 students with two teachers nominated as a programme officer. The students who are really interested in social services are selected by the N.S.S programmer officer with the permission of the Principal. It is to be noted that there is a provision of incentive marks for students who participate in the N.S.S as per the university norms. The Activities of the NSS unit are designed and executed in accordance with the current problems faced by the villagers in particular and society in general. The N.S.S. Unit of the college has two programme officer. The N.S.S. Unit has 150 students as per sanction of the Deptt. Of N.S.S. 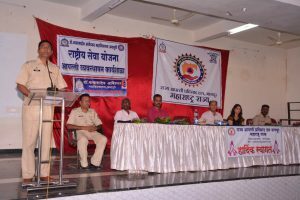 Gondwana University Gadchiroli. The College has N.S.S. advisory committee consists the following members. Aims and objectives of N.S.S. To make the students discipline in every walk of life. To make the students aware of their moral duties towards society and nation. To create awareness amongst students. To work of the abolition of evil customs in the society. To keep society away from blind beliefs and superstitions. To create awareness amongst students about their responsibilities towards society and the nation. To create a national feeling. To guide the people in villages to solve their problems. To become one with villages life. 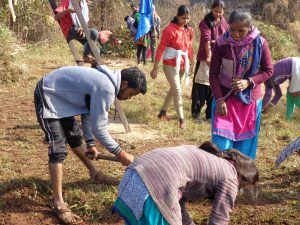 To undertake the programmes like tree plantation to maintain balance in the environment. To create awareness in rural areas about water conservation. To create awareness in rural areas about literacy.